Are You My Mummy, a skin from the TK Bahas Bloody Harvest. 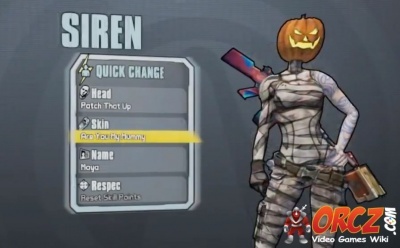 "Are You My Mummy" is a skin for Maya the Siren in Borderlands 2 in TK Bahas Bloody Harvest. This page was last modified on 5 June 2014, at 12:57. Content is available under Creative Commons Attribution Non-Commercial Share Alike unless otherwise noted.